An ancient order of Force-practitioners devoted to the dark side and determined to destroy the Jedi, the Sith were a menace long thought extinct. The current incarnation of the Sith is the result of a rogue Jedi dissident from the order. Two thousand years ago, this Jedi had come to the understanding that the true power of the Force lay not through contemplation and passivity. Only by tapping its dark side could its true potential be gained. The Jedi Council at the time balked at this new direction. The Dark Jedi was outcast, but he eventually gained followers to his new order. Awakening beliefs from the dark past, the new Sith cult continued to grow. With the promise of new powers attainable by tapping into the hateful energies of the dark side, it was only a matter of time before the order self-destructed. Internecine struggle by power-hungry Sith practioners dwindled their numbers. Thus, the Sith quietly continued for centuries, until the time of Darth Sidious and his apprentice, Darth Maul. By that time, the galaxy at large had believed the Sith to be extinct, a fabled threat from the past. Qui-Gon Jinn's report of a Sith attack on Tatooine was met by the Jedi Council with hesitation and skepticism. Surely if the Sith had returned, the Jedi would have detected it, they reasoned. The dark side, for all its power, is ultimately hard to detect when required. A shadowy master like Darth Sidious was able to keep his presence a secret, even when sharing a world with the Jedi Temple. A classic duel between Jedi and Sith! Powerful with the dark side, the Jedi outcasts set themselves up as gods on Korriban. The primitive Sith worshipped them as their lords, and so the Jedi grew, and built temples and monuments to celebrate their power. Millennia of interbreeding blurred the distinction between Sith native and offworlder, and the term Sith came to encompass not only the indigenous people of Korriban, but also the powerful overlords that ruled them. 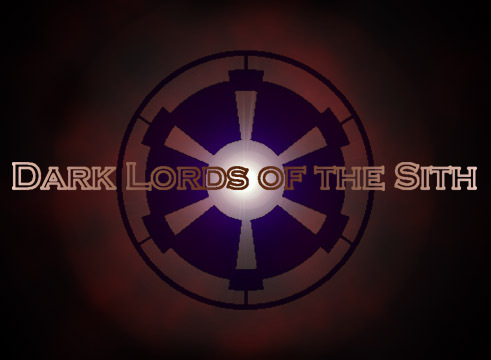 The Sith, thought to hail from the planet Korriban, were an ancient people who were conquered 25,000 years ago by Jedi who had fallen from the ways of the light side of the Force into darkness. Those who practised Sith Magic learned amazing abilities drawn from the dark side of the Force. Sith were able to move objects with only a thought, project an aura of uneasiness on an opponent, reprogram a computer, droid or machine using only their minds, unleash tornadoes on their enemies, and even wipe the memories of others. the Sith did not think twice about venturing into areas of the force that the Jedi would not even consider.